The rest were dispensable, born to be a burden to the rest. Question: Is all this focus on measurement relevant or does it only serve the interests of the oligarch to sort and dispose of those they DEEM unfit? Answer: Measurement is really NOT scientific. 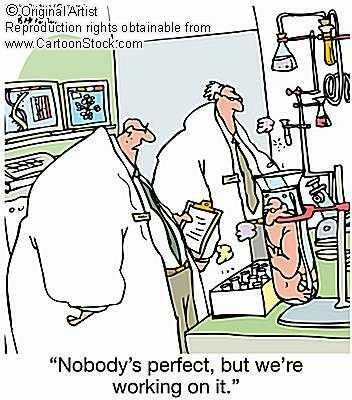 “Eugenicists had a passion for measurement. This undoubtedly reflected their claim that eugenics was a science. This included both physical and intellectual measurements. The actual measurements were a fairly simple matter. The first system for human physical measurements (anthropometry) was developed by the French criminologist Alphonse Bertillon. Eugenicist Francis Galton adopted Bertillon’s system. His work with his student assistant Karl Pearson provide the basis for modern anthropometric statistics. Physical measurements by themselves are data of some actual scientific and societal utility. The use eugenicists made of the data compiled, however, was not scientific. American eugenicists had already formed their conclusions before even beginning to collect their data which as any 7th grade general science call tell you in the antithesis of real science. Eugenicists wanted to use anthropometry to support their belief that the white race was superior. Many of these studies were conducted in public schools, prisons, and state mental hospitals where study populations could be readily studied. Draftees in World War I (1917-18) provided another large study population. These institutions provided a cross section of children and adults from the different racial and ethnic groups. As far as we can tell, the actual measurements taken were accurate. The conclusions drawn from the studies were a very different matter. 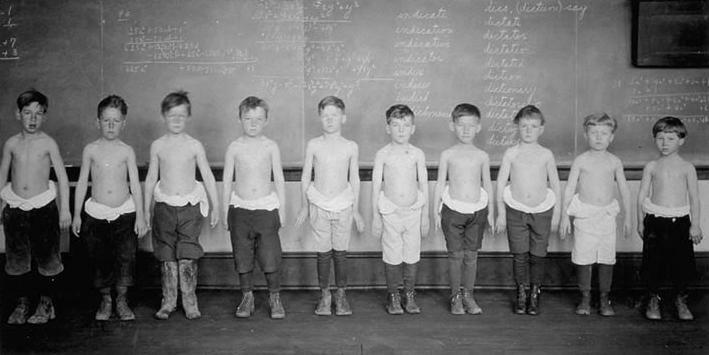 Although the eugenicists claimed to be scientists, they attempted to draw conclusions from the data with out considering variables that could affect body measurements. Again any 7th grade science fair participant could tell you that his was not science. The eugenicists ignored variables such as nutrition and access to medical health care that varied among racial and ethnic groups which could have an impact on growth and development and thus influence the differences found. Physical measurements could be done with considerable accuracy. Measuring intelligence, however, was a very different matter. And it was a very critical matter as eugenicists advocated sterilization for the mentally deficient. Efforts to measuring intelligence first began after the turn of the 20th century. French psychologist Alfred Binet first created what is now known as a Intelligence Quotient (IQ) test (1905). He sought to assess a child’s “mental age”. He wanted a test which could be used as an aid to direct primary school children to either academic or vocational education tracks. Binet’s system classified a child of average intelligence as having a mental age equal to his chronological age. Binet’s mental age was used to generate an IQ (1910). The mathematical calculation was mental age/chronological age x 100). IQ scores can range from 0 to 200 and are designed to fit a bell curve, and by definition average 100. Average IQs range from 86 to 115. A variety of terms were used to develop individuals below (moron, imbecile, and idiot) and above (bright and genius) the average. Eugenicists eagerly employed IQ or other intelligence tests to compare different racial and ethnic groups. These comparisons purportedly showed whites were more intelligent than blacks, native-born Americans were more intelligent than foreign-born immigrants, and northern Europeans were more intelligent than southern Europeans. Eugenicists failed to assess the validity if the early IQ tests or other variables besides race ad ethnicity. Fact: Because these measurements are not accurate, horrible mistakes are made in the process. 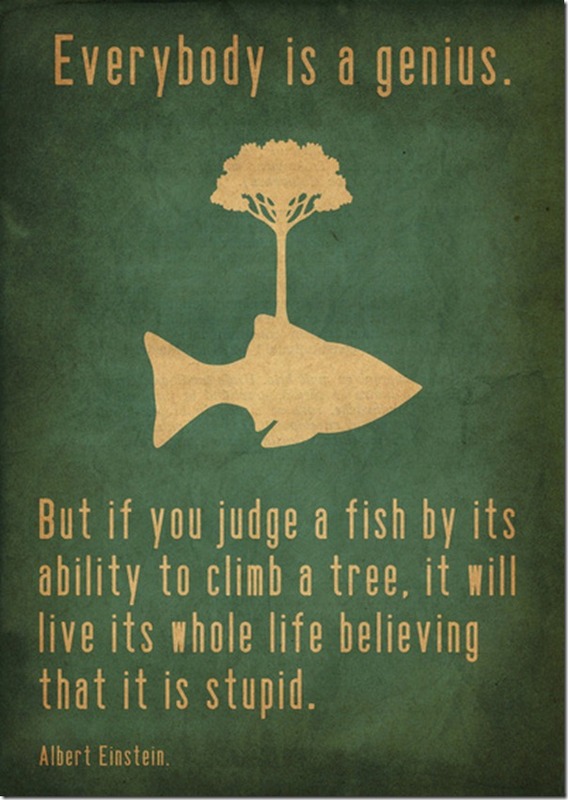 Standardization leads to a life devoid of joy and diversity. “Gates seems not to know or care that the leading testing experts in the nation agree that this is a fruitless and wrongheaded way to identify either good teachers or bad teachers. Student test scores depend on what students do, what effort they expend, how often they attend school, what support they have at home, and most especially on their socioeconomic status and family income. Test scores may go up or go down, in response to the composition of the class, without regard to teacher quality. Students are not randomly assigned to teachers. A teacher of gifted children, whose scores are already sky-high, may see little or no gains. A teacher of children with disabilities may be thrilled to see students respond to instruction, even if their test scores don’t go up. A teacher in a poor neighborhood may have high student turnover and poor attendance, and the scores will say nothing about his or her quality. But all will get low marks on state evaluation systems and may end up fired. So far, the main effect of Gates’ policy has been to demoralize millions of teachers, who don’t understand how they went from being respected members of the community to Public Enemy No. 1. As a nation we now have a toxic combination of a failed federal policy—No Child Left Behind—which made testing the be-all and end-all of schooling, and Bill Gates’ misguided belief that teacher quality can be determined by student test scores. In the years ahead, American students will undergo more and more testing, the testing industry will fatten, and the quality of education will suffer. To save their necks, teachers will teach to bad tests, school districts will drop the arts, and shrink the time available for subjects like history, geography, civics, science, and foreign languages to make time for more testing. And there will be more cheating scandals as test scores determine the lives and careers of teachers and principals, and the survival of their schools. This entry was posted on Friday, February 24th, 2012 at 7:42 am	and posted in Bill Gates, Charter Schools, Civil Rights, Common Core, Common Core Curriculum, Corporate Education DeFormers, Eugenics, Measurement, Melinda Gates, Oligarchy, Oppression, President Obama, Propaganda, Public School, Race to the Top, Racism, Social Engineering, Standardized Testing, Teacher Evaluations, Teachers, Uncategorized, War on Public Education. You can follow any responses to this entry through the RSS 2.0 feed.